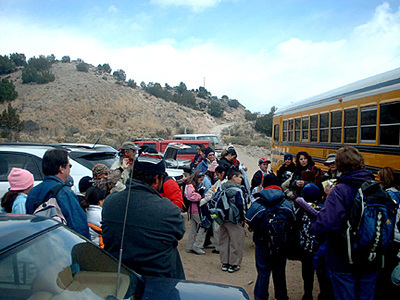 Docents are trained to lead public, school and private tours that are basic to the Project's commitment to education, preservation and community service. 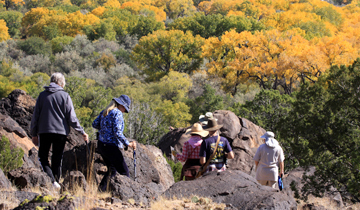 All of the 120 or more tours on the Wells Petroglyph Preserve are led by volunteer docents on six trails on the Wells Petroglyph Preserve and typically take two to two-and-one-half hours. Join us in delivering the message of preservation for generations to come. 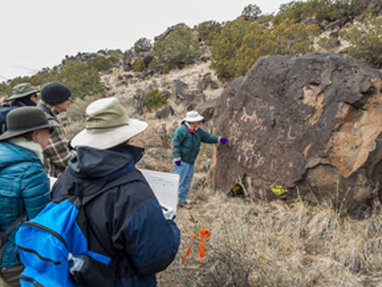 Train as a tour docent on the Wells Petroglyph Preserve. . . . . And - have a lot of fun while you are doing it! Project Director Janet MacKenzie conducts informative field training for new docents. Docents are introduced to all six trails on the Wells Preserve. In addition, new docents are encouraged to tag-along with experienced docents until they feel confident in leading tours. 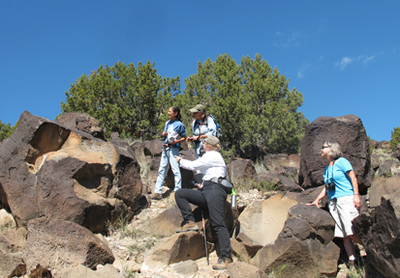 ﻿﻿﻿﻿﻿﻿Docents receive classroom and in-the-field training and are provided with comprehensive information including guidelines for the six formal tour routes on the Wells Petroglyph Preserve. Material concerning the geology of the mesa, cultural history and resource information about the petroglyphs is also provided. 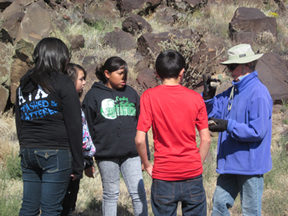 Trainees are mentored by experienced docents on the Preserve. Candidates should be able to navigate difficult terrain - we recruit 'good knees'! that occur mostly in the spring and fall. 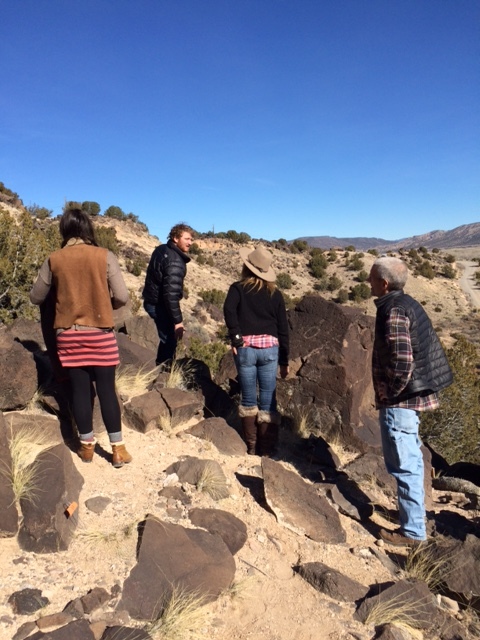 All of the 120 or more tours given annually on the Wells Petroglyph Preserve are docent led.